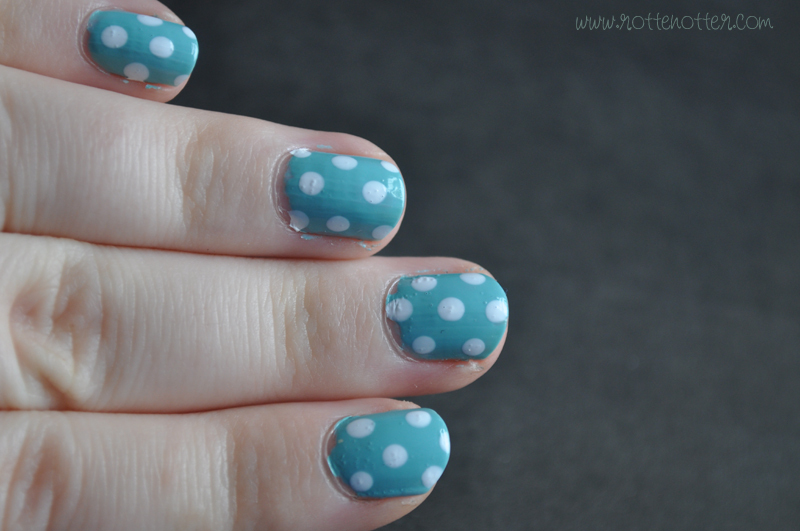 Today I have a NOTD for you and using my dotting tools for the first time! I'm sticking with the Tiffany box colours and using China Glaze For Audrey and Models Own Snow White. I used Models Own 3 in 1 as the top coat. I love For Audrey but I just wish the formula was better, it's really streaky and thin. I haven't come across a better Tiffany dupe though. White Snow is great for nail art, it's opaque with only one coat. This is the first time I used the top coat, it hasn't made my nails chip yet (which a lot of topcoats do on me) but it did bubble when drying. 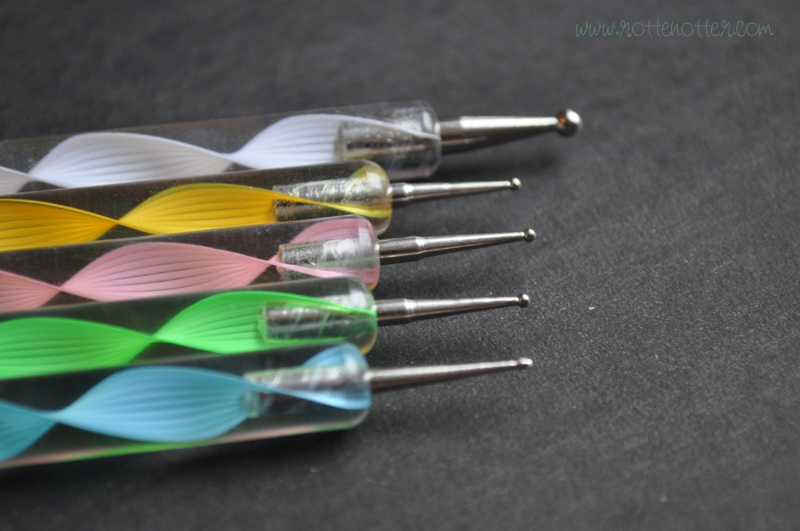 I love these dotting tools, they're double ended so in total you get 10 tools. I bought mine from Ebay for £1.68! That includes delivery too. They're all different sizes, a couple are different shapes, so there are endless designs you could create. I've gone for simple dots though since it is the first time I'm using them. I painted two coats of For Audrey and waited for them to dry. I then poured a bit of Snow White onto a plastic lid and simply put my dotting tool into the polish and dabbed it onto the nail. 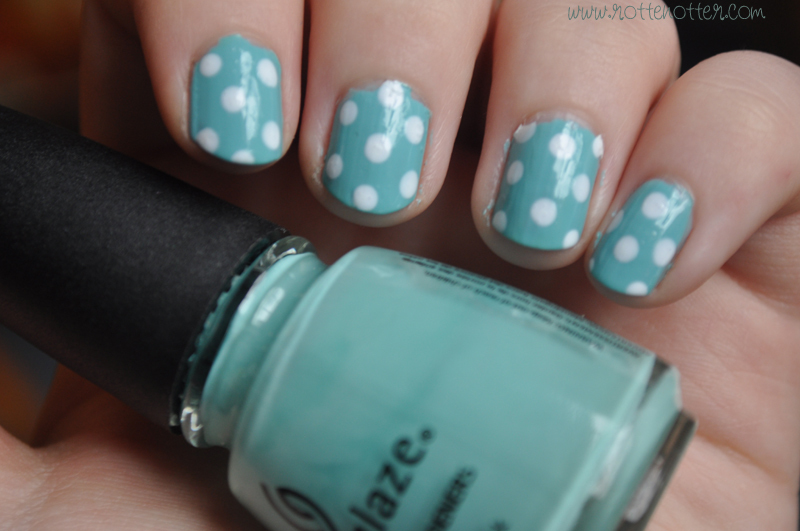 One of the simplest nail art designs but one that looks really effective. I can't wait to try it with other colours. I love that colour combination! You should try a big white bow too, just like the tiffany boxes. seriously cute! I love it!